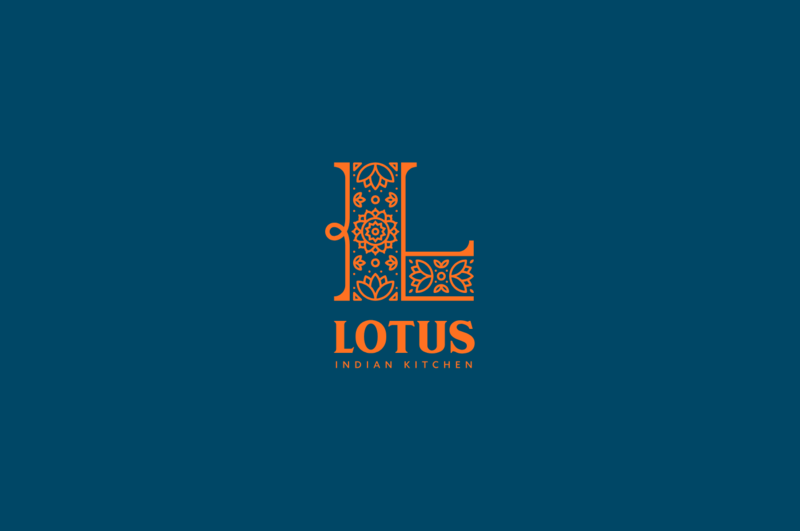 Lotus brings a fresh and modern approach to Indian street food, predominantly featuring a gorgeous floral monogram. 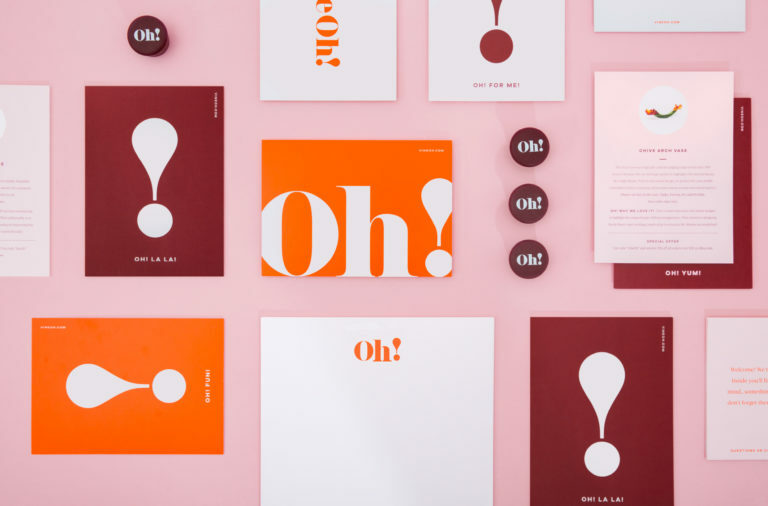 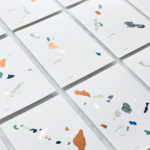 Bright orange is offset with a rich navy, adding an air of sophistication to the visual identity. 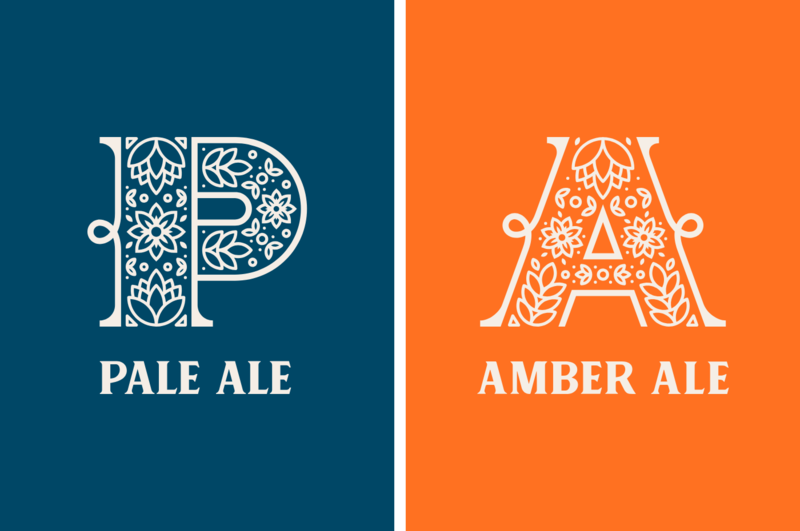 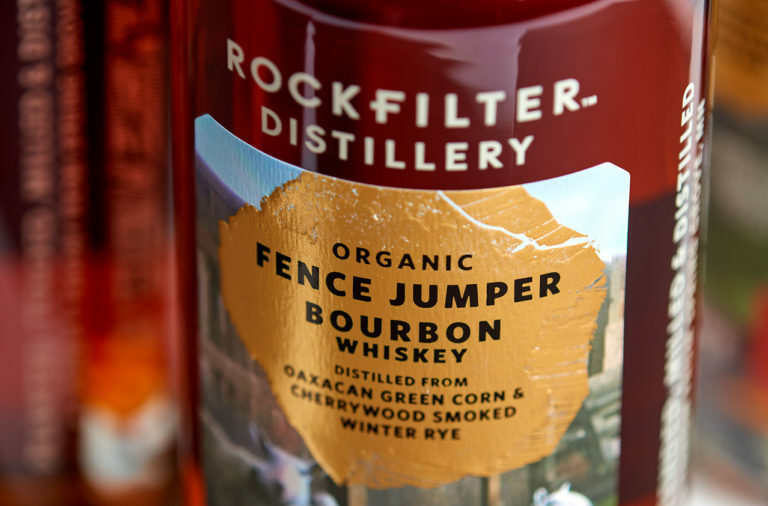 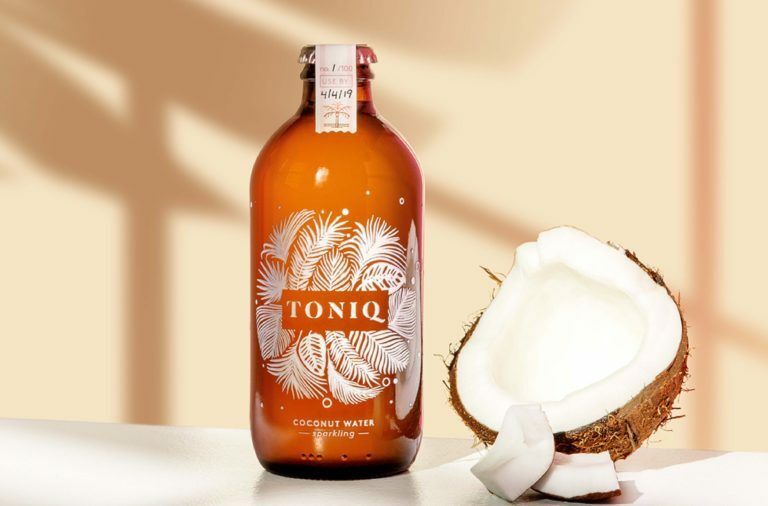 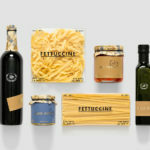 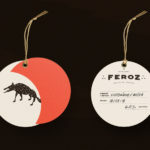 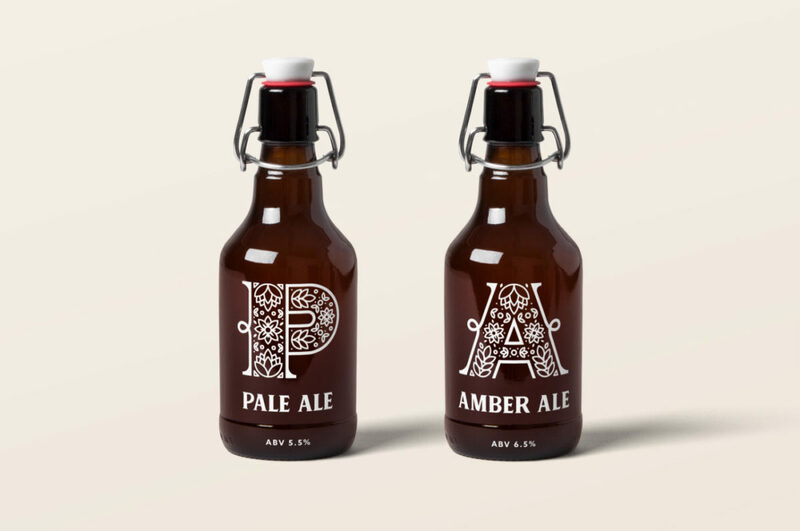 The floral motifs carry through on packaging, specifically on beer bottles that also feature custom monograms. 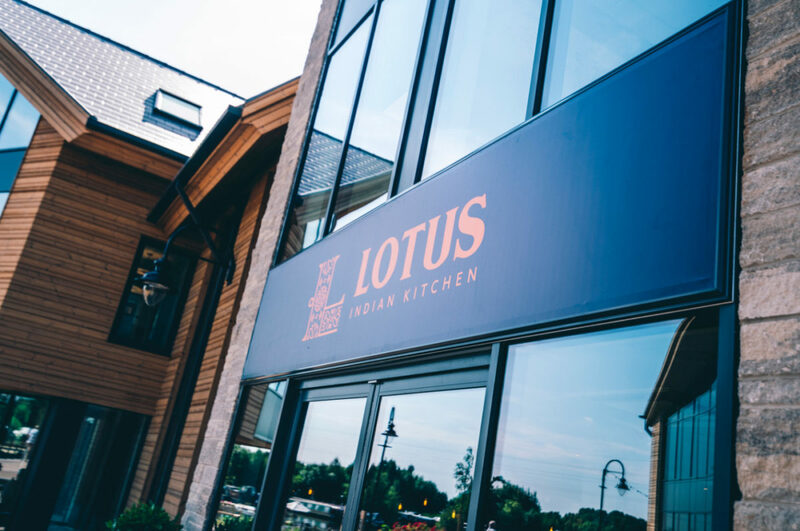 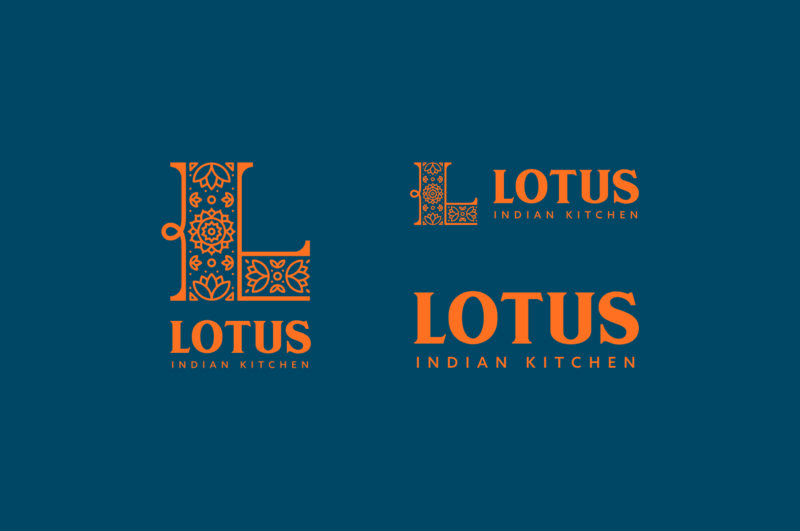 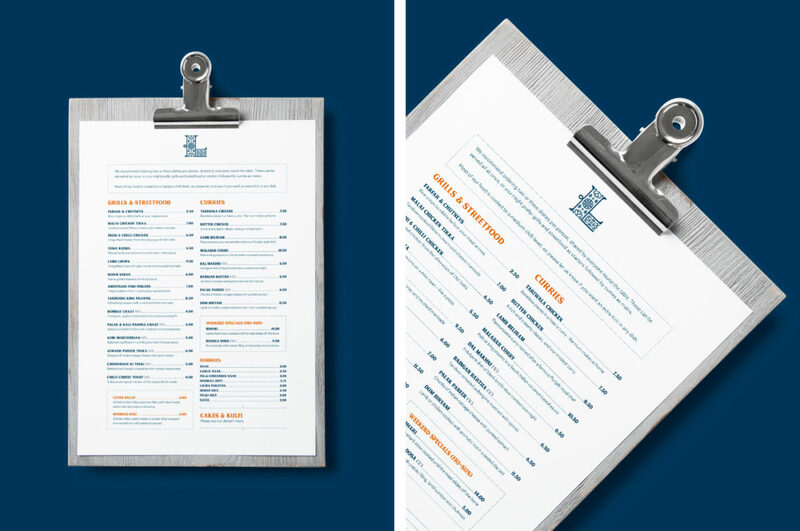 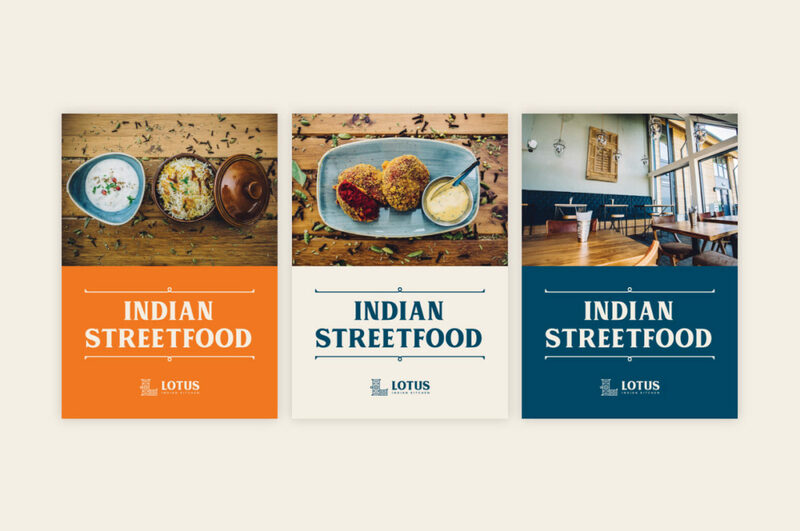 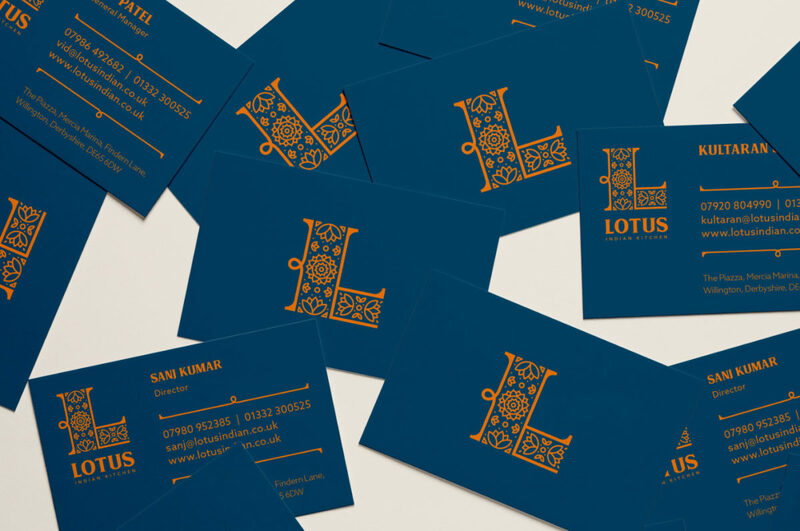 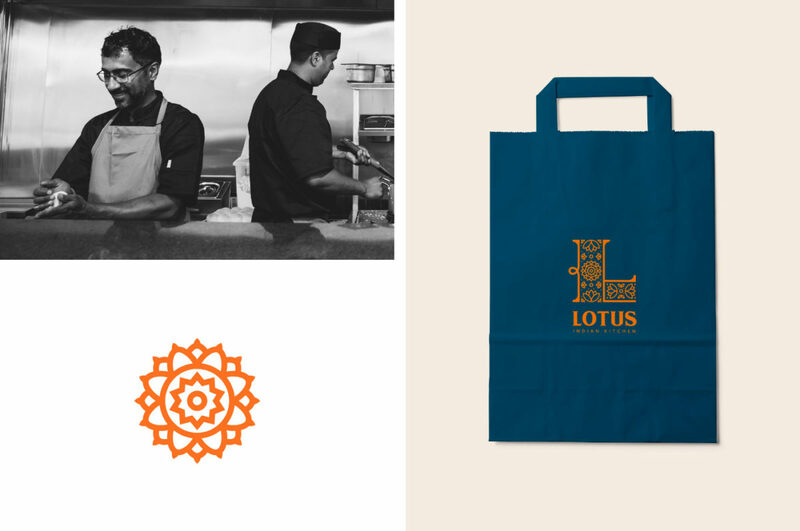 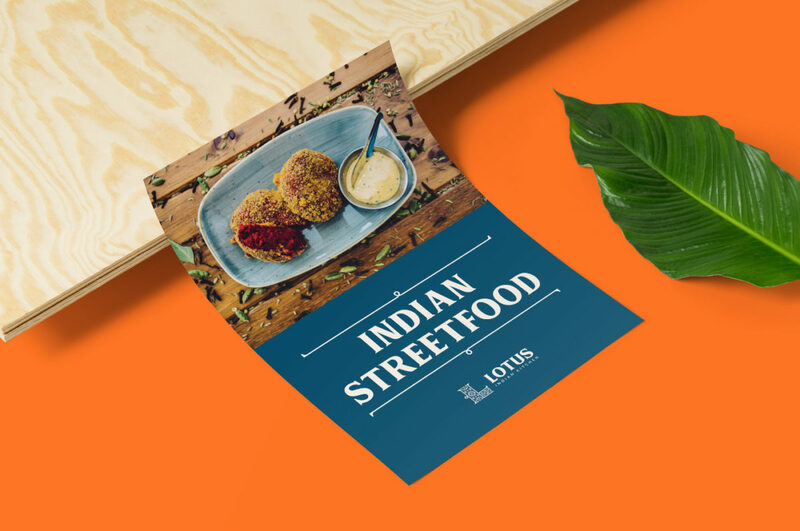 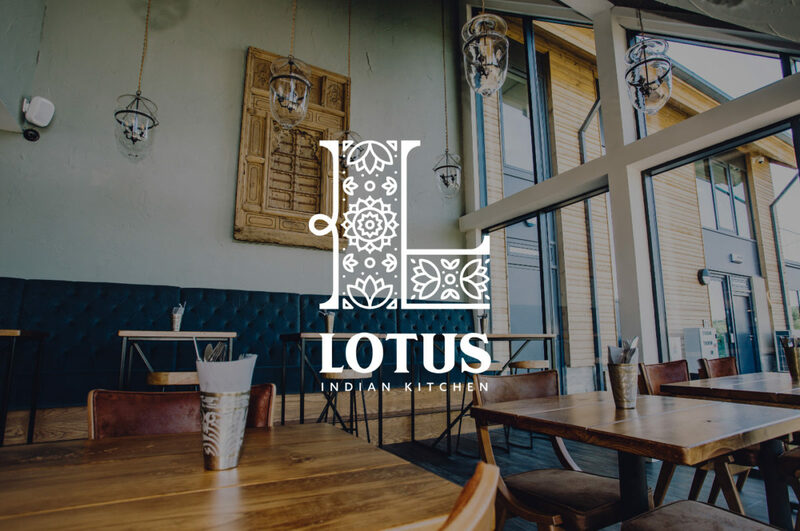 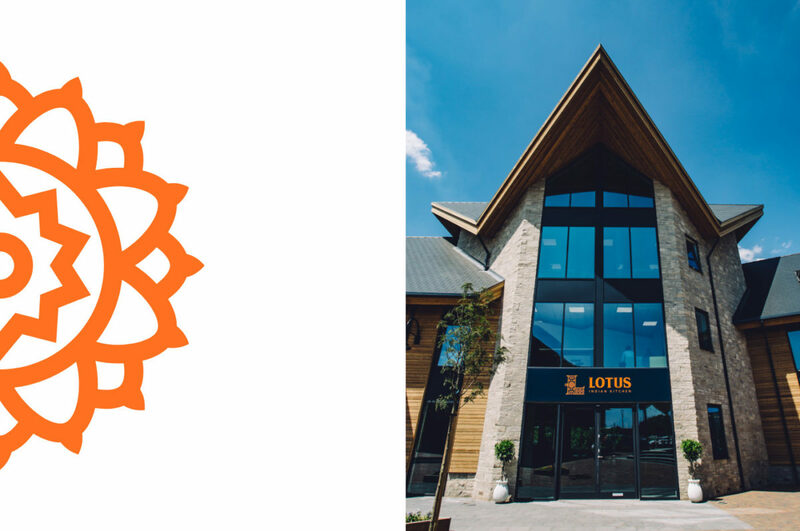 Lotus Indian Kitchen Branding & Print Design by Alan Cheetham.